Yesterday morning I went up to Ridgefield in the rain, intent on counting some birds. I really hate counting birds but I'm trying to get used to it for this whole eBird thing. I figured I could just estimate large groups and not count every single bird. When I arrived I found a group of coots and guessed there were about 30. I was about to write that down on a scrap of paper I found and then thought, hmm, maybe I should count for real and see if that's a good estimate. Yeah, there were 85 coots there. Eff! I obviously don't know real bird codes. Ah well, I feel so accomplished having counted every single one of those 493 coots. Not. In the wooded area I stopped to count Song Sparrows (shoot me now) and found a Downy making a big hole on a little branch. Cute. On Rest Lake were a bunch of Ruddy Ducks in various stages of molt. So that was my first time out really counting every freaking bird. In the future I will probably do more estimating, especially because most birding excursions do not involve sitting in a car with pen and paper easily accessible. At least I got to try it out... Good times! I've really gotten into eBird, but counting large flocks is the worst. I was at Ankeny this winter trying to count geese and it was definitely a "kill me now" moment. Oh god I bet! I was so relieved that no huge flocks of geese around yesterday- the coots and shovelers kept me busy enough. Your counting for eBird is very admirable. I wish I had the patience required. Cease and desist with the bitterns. Are you keeping one in the bathtub or something? Ridic. I WISH. Now you know what to get me for my birthday. Counting birds can be a pain but the data is worth it if you're going to be using eBird. eBird put up a couple of articles about counting that are worth the read. They describe a number of techniques that make the process of estimating birds easier. The birds i find frustrating to count are the ones like Robins, Starlings, and yes, Coots at Ridgefield. The way i keep field notes is not conducive to having much more than 3 or 4 counts per species. So these guys get and X and a comment: "Abundant: found in multiple flocks and aggregations throughout the census area." Another thing when reporting counts. If they are an estimate they should be reported in count expressions of 5, 10, 25, 50, 500, 500 etc. For example your 493 Coot count implies that you meticulously counted every bird and are reporting an exact count not an estimate. If is actually an estimate 500 would be a better report number. For instance; i was counting Green-winged Teal recently along a transect. I estimated 750 birds in multiple locations. On the way out i saw a lone pair in a roadside channel. I'm not going to report 752 -- i just left it at 750. Anyway, it's good to see your giving eBird a shot! And Rhett's right -- can't you get a little closer to those Bittern? I'm pretty sure there are lice under the water droplets on it's head. Thanks for the tips! And yeah, I actually counted every single coot I saw and that is how I got to 493... The only number on my eBird report that I estimated was swallows. Can't get those buggers to slow down. Jen, you are a dedicated birder! Counting all the birds and reporting to ebird. I tried and gave up. I just like seeing the birds, and that is good enough for me. I am just amazed at your Bittern luck. Awesome photos. And the Snipe too, it took me forever even to see one. I enjoyed the post and your photos. Happy Birding! LOL I love that Bittern shot When I saw the header I said "WTH" how'd she do that...lol so cool..
Well Ive heard most people estimate by imagining a square and count the number in that square, say its a 4 or 5 foot square and then estimate how many squares there are filled with that many "dots" or birds...of course this is for large flocks...if you see 8, you see 8...but if you see 8 in a spot and you think that 10 of those spots will fit into the Whole then you saw 80 give or take---I admire your dedication and IM Jealous as hell too!! Ha well I did it once- not sure I'll be able to keep it up- we'll see! Love the header! Made me laugh. Well, about the counting. 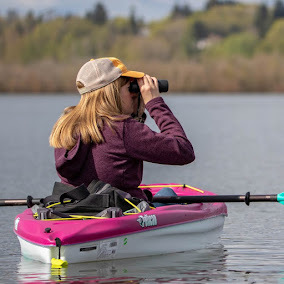 I'm sorry, but if I plan to drive up to Ridgefield, and I look at e-bird I need to know EXACTLY how many coots you saw. Not an estimate. Really. Was it 493 or 494? Accuracy is critical. I hear ya, I never go up there if I see less than 485 coots being reported. Ha ha! By the way, Laura's birdathon trip is May 6 at Steigerwald again. Are you in? Hope so. We should! I know you like to do the loner birding thing, but we should try to get out for some spring birding---maybe the Kiwa Trail? Lets try to figure it out! Sharp shots Jen. That Bittern is the business, and it makes for a super website header.